Kalenda Eaton is an Associate Professor of African American Literature at Arcadia University in Glenside, Pennsylvania. 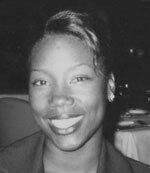 She received her Ph.D. and Master’s degree in English from The Ohio State University (Columbus, OH), and her undergraduate degree from Dillard University (New Orleans, LA). Eaton’s areas of research include African American Literature, Women’s Studies, the Black American West, and Africana Studies, generally. Prior to joining the faculty at Arcadia, she held faculty and administrative positions at the Armstrong Atlantic University, University of Nebraska-Lincoln, and Barry University. She has published on Black Women’s fiction during the post-Civil Rights period (Routledge), been awarded a Fulbright fellowship, and has presented her research at national and international conferences. Eaton is currently completing a book-length project on African American regional literature focusing on the Great Plains. She is a native of Northern California.